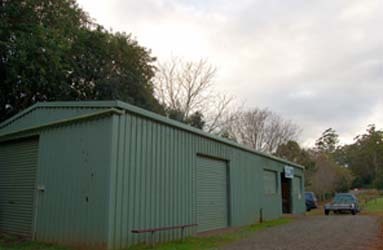 The “Green Shed”, located at the “Mount Tamborine Showgrounds”, Main Western Road, Mt. Tamborine, Queensland, is the local market for fresh, mostly organic, fruit & vegetables. Open EVERY WEEK on Sunday mornings (including “Country Market” days) from 7.00am to noon. Also on offer are flowers, honey, nuts, herbs & plants, local fresh fruit & vegies, also preserves, plants, fruit-juice, coffee etc. Organized as a non-profit venture, through the Tamborine Mountain Local Producers Association Inc. (LPA), the market is provided as a service to local small farmers and growers of horticultural produce. Its aim is to allow local producers to offer their produce to the public every week on Tamborine Mountain and provide visitors and residents with the opportunity to purchase direct from growers. A wide variety of high quality, freshly picked, mainly organically grown produce is always available. The range available depends on the season. Prices are set at a level which provides farmers a financial return sufficient to encourage them to continue their farming activities. Tamborine Mountain is the source of an enormous variety of horticultural produce such as avocados, kiwi fruit, rhubarb, vegetables and flowers. There are many large, specialist orchards, but much of the production comes from small farms or large residential blocks. 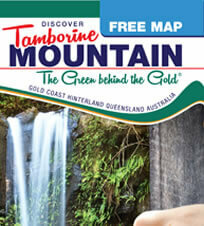 About 70% of the land on Tamborine Mountain is designated for rural use. Horticultural activities give Tamborine Mountain its green, unspoiled character, which is one of the main reasons for the large numbers of tourists who visit here. Being only 1 hour’s drive from Brisbane and even less from the bustling Gold Coast, Tamborine Mountain is a popular tourist destination. Many travel to Tamborine Mountain to see the extraordinary views of the Gold Coast, and the equally dramatic, but very different, views to the west. 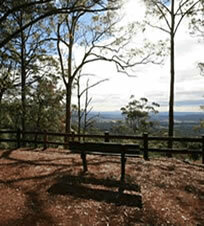 Behind high hedges and dark green avocado trees, there is an aspect of Tamborine Mountain that few visitors see. The extraordinary fertility of the soil and favorable climate makes it possible to grow an amazing range of horticultural crops in this beautiful area of south east Queensland. Tamborine Mountain’s horticulture has a long and interesting history. Originally, the main activity was timber getting. This is where the name Cedar Creek originates. As the land was cleared, it was taken up by dairy farmers. Later, there were periods when citrus growing was the major industry and large tracts of land were devoted to vegetable and flowers. Now, avocados are the main crop. 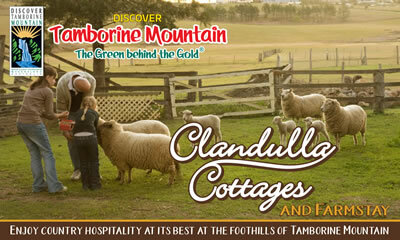 Tourism on Tamborine Mountain depends on keeping the Mountain’s rural character. The Tamborine Market helps in the achievement of this goal.